One fan provides both supply and exhaust ventilation. Manufactured in Germany, the Lunos e2 fan reverses direction every 70 seconds. When two such fans are connected to a controller that synchronizes the fan reversal sequence, a pair of fans can work together to provide supply and exhaust ventilation. Frequent reversal of the fan direction allows the ceramic heat-storage core to recover heat that would otherwise be lost in the exhaust stream. A new distributor of building products from Europe has set up shop in Brooklyn, New York. The company, called Four Seven Five, was recently founded by a trio of Passivhaus consultants: Floris Keverling Buisman, Sam McAfee, and Ken Levenson. Four Seven Five plans to import air-sealing products and ventilation fans from Germany, as well as HVAC equipment from Denmark. One way to describe Four Seven Five: it’s the Small Planet Workshop of the East coast. Like Albert Rooks of Olympia, Washington, the Brooklyn triumvirate behind Four Seven Five imports European air-sealing tapes. Rooks sells Siga tapes, while Four Seven Five sells tapes manufactured by a competitor, Pro Clima of Schwetzingen, Germany. 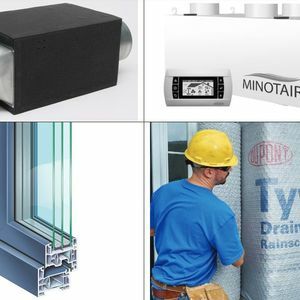 Pro Clima makes window tapes, sheathing tapes, housewrap tapes, and vapor-retarder membrane tapes. Like tapes made by Siga, Pro Clima tapes have an aggressive adhesive that is free of VOCs. Of course, once you have successfully navigated the peel-and-stick-and-stick dance, the tape works great. Most Pro Clima tapes come in a single width (3 3/8 inch). Each roll of tape is between 65 feet and 98 feet long and sells for $33 to $87 per roll. In addition to tapes, Pro Clima also manufactures caulks, housewrap, and “smart” vapor-retarders. All of these Pro Clima products are available from Four Seven Five. Pro Clima’s smart retarder is called Intello Plus. This product is installed on the interior side of a wall or ceiling, directly under the drywall. Intello Plus has a permeance that varies from 0.17 perm during the winter to 13.2 perms during the summer. Because of its variable permeance, Intello Plus (unlike polyethylene) can be safely used in an air-conditioned house. For some odd reason, Intello Plus comes 59 inches wide, so you’ll need two rolls to stretch from the floor to the ceiling. (Of course, Pro Clima suggests that you tape the resulting horizontal seam with one of their tapes.) Each roll of Intello Plus measures 807 square feet; the cost is $324 per roll. Pro Clima offers two types of housewrap: Solitex Mento 1000 ($203 for 807 square feet) and a heavier version, Solitex Mento 3000 ($235 for 807 square feet). 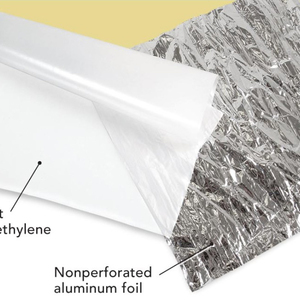 If the Solitex Mento seams are carefully taped, either product can double as an air barrier. Four Seven Five also sells rectangular patches (most of which are about 5 inches square) to seal around wiring and pipe penetrations in air-barrier membranes. Called Kaflex patches, they are made of a flexible airtight fabric. Several versions of these Kaflex patches are available; prices range from $5 to $8 each. Four Seven Five is the first U.S. importer to distribute a European “magic box” — namely, the Compact P, a magic box manufactured by Nilan of Hedensted, Denmark. The Compact P is an air-source heat pump with a very modest space-heating capacity of 7,165 BTU/h — suitable for a Passivhaus, perhaps, but insufficient for most cold-climate homes. At an outdoor temperature of 16°F, the unit can provide 3,273 BTU/h (about 959 watts) to heat domestic hot water. If necessary, a 1.5 kW electric resistance heater kicks in to supplement the output of the air-source heat pump. The Compact P includes a heat-recovery ventilator rated at 188 cfm. Four Seven Five will sell the Nilan Compact P for about $13,000. 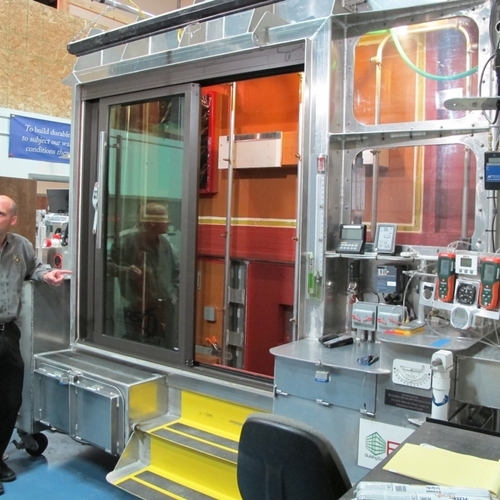 Lots of people like the performance of heat-recovery ventilators (HRVs), but not many people like the high cost of purchasing and installing the equipment. 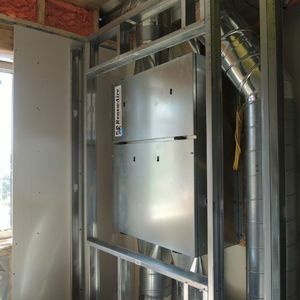 It’s complicated to run ventilation supply and exhaust ducts to seven or eight rooms, so the typical installed cost of an HRV is $2,000 to $3,000. Is there a simpler way to provide ventilation that includes heat recovery? Perhaps. Four Seven Five will soon being distributing a small ventilation fan, the Lunos e2, manufactured by Lunos Lueftungstechnik of Berlin, Germany. The cylindrical Lunos e2 has a diameter of about 6 inches. It is designed to be installed inside a wall, but the wall must be fairly thick, with a minimum thickness of 11 7/8 inches. Lunos e2 fans are fairly unobtrusive; the indoor cover plate measures 7 inches by 7 inches. Inside each Lunos e2 unit is a small 12-volt fan (powered by a transformer) and a perforated ceramic heat-storage disk. As air flows through the disk, the disk absorbs or gives up its heat. Here’s the ingenious part of the Lunos e2 design: the fans are reversible. A Lunos fan is programmed to operate as a supply fan for 70 seconds, and then reverse itself and operate as an exhaust fan for 70 seconds. Fifty-one times per hour, the air flow reverses. During the winter, the exhaust air stream heats up the ceramic disk. When the air flow reverses, the ceramic disk gives up its stored heat to the supply air stream. One minute later, the air flow reverses again, and the exhaust air streams heats the ceramic disk back up. The net result: The Lunos e2 is able to recover heat that would otherwise escape with the exhaust air stream. The Lunos e2 fans are designed to be installed in pairs. A controller synchronizes the functions of the two fans: when one fan is operating as an exhaust fan, the other fan, which can be located some distance away, is operating as a supply fan. Lunos e2 fans are very energy efficient. They draw only 2.8 watts at high speed (17.6 cfm). That’s an efficiency of 6.3 cfm/watt, about the same as a Panasonic FV-08VKS1 fan, which supplies 80 cfm at 11.3 watts (7 cfm/watt). The Lunos e2 fan is rated at only 17.6 cfm. That’s not much. The main disadvantage to the Lunos e2 fan is its high price. Four Seven Five plans to sell the fans for $1,200 a pair, or two pairs (the minimum number of fans necessary to ventilate a small house) for $2,250. That’s steep. So, to return to the question we started with — “is there a simpler way to provide ventilation that includes heat recovery?” — the answer is yes. Unfortunately, the simpler way is just as expensive as installing an HRV. any thoughts,Martin, on the effectiveness or longterm performance of the tapes and wraps? I imagine they haven't been in use for decades -- do we expect them to be more reliable than (cheaper) tapes, sealants, wraps more commonly used? How effective is the heat recovery of the Lunos fan? One thing to consider with those fans when comparing them to a ducted HRV would be the space required for all the ductwork. A house with mini splits and the lunos fans would free up a designer from having to keep in mind where the duct work will go. The question is how does the recovery compare with a centralized HRV? The longevity question is one that we all struggle with. You were asking Martin, but I did want to a least share what we know. Both companies (Pro Clima & Siga) are key suppliers in the Central European markets. Air-sealing by tape and membrane is about 25 years old in CE. So really, all that we can look at is 25 years of history. When you ask the "how long" question to the manufacturer, all they can says is that: "We've been making them for this long, have been on hand during remodels and seen old work, and the tape has stayed stuck". In addition to that they run rapid aging tests that quickly alternate hot and cold with other effects like mass UV in the best possible effort to replicate what happens over decades. I think that they do their best, but in the end, we don't have a way of knowing the future. All we really have is limited anecdotal evidence over the last 20+ years. Here is one: German born Project Supervisor at Green Hammer in portland OR http://www.greenhammer.com, sent me a picture of one of the Siga tapes that he used to repair the cowling on his pod air compressor. He stuck it on in Germany about 10 years ago. The Tape was Siga Sicrall. I just saw the same compressor on one of his job sites about a month ago still intact and in perfect shape. I think any other tape would have just been a dirty spot on the cowling by now: Just a little dried up adhesive blacked by dirt where the tape used to be. While I'm not conversant on Pro Clima, I'd certainly put their materials in the same class. I know that as "Dealers" we are tainted with the brush of commercial self interest. However, i do want to note that both myself & the rest of the gang of The Small Planet Workshop, as well and the "475 Tiumverate" (Ken, Sam & Floris) have all come up from the ranks of the Passive House Movement (yes, we actually call it a "movement" these days...). Myself and the SPW gang all met through our work in support of Passive House Northwest http://www.phnw.org, and the 475 gang from Passive House NewYork http://www.nypassivehouse.org. Regardless of weather you think that adopting The Passive House Standard is extreme or not, this is a great case in point that "raising the bar" brings significant change. What got our two companies into importing these things was the tremendous steps that had to be taken to reach Passive House levels of design and construction. It quickly becomes apparent that there is a world of other methods and idea's that could help anyone build any envelope -to a higher performance level. Wether it's a Passive House project or not! Not to be too self referential, but what is driving us in this direction is not the commercial self interest, but the "gee wiz cool" of finding things and methods that we think are efficient and valuable to the US. No one get's into these high performance products in the middle of such bad economic times, and intending to supply such an inexistent market without having a complete commitment to really stepping up the building envelope quality. I think that I can speak for both groups that the sincere goal is to help move US envelope quality up. 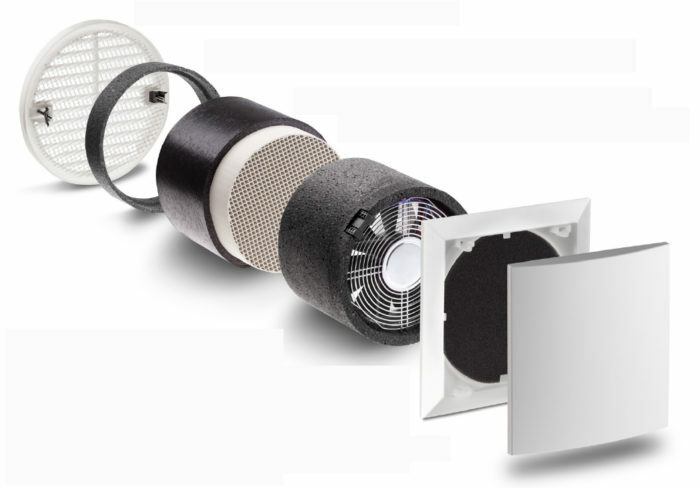 Could the Lunos fans be used to exhaust moist environments such as bathrooms? In frigid locations such as the Northern US and Canada, would the alternating airflow eliminate the possibility of the moisture condensing and freezing? Stated problem: "Like other high-quality tapes, Pro Clima tapes come with a slick paper peel-away backing. We're all familiar with the frustrations of such tapes: for one thing, few carpenters have fingernails that are sharp enough to get the corner of the peel-away paper started." Don't try to peel the backing paper away from you. Instead, hold the tape in your hand with the finished side to you and the backing paper away from you. On really good tapes like Pro Clima there is A LOT of adhesive. Enough so that if you run your thumb over the top of the tape (perpendicular to it) you'll catch some stray adhesive and it will peel the tape back following your motion away from the backing paper. The idea is to not try to peel the backing paper away, but peel the tape away backwards from the backing paper. It's one motion and can be done with one hand by just using the top your thumb. It works on good tapes that have really thick adhesive layers. If you have any samples of Pro Clima, 3M 8067, or any of the Siga Tapes around try it and let us know if "you have the talent"! Q. "Any thoughts, Martin, on the effectiveness or longterm performance of the tapes and wraps?" A. Good question. Ultimately, we don't know. Siga and Pro Clima have performed durability testing; this requires cycling the tapes through successive episodes of heat and cold to see how they hold up. However, if you want a tape to last 50 years, the only way to know for sure how well it performs is to wait 50 years. Q. "How effective is the heat recovery of the Lunos fan?" A. According to the specifications provided by Lunos, the heat recovery efficiency of these units ranges from 85% to 90%. Q. "Could the Lunos fans be used to exhaust moist environments such as bathrooms?" A. Yes, but you only get 17.6 cfm for $1,200. If you wanted 50 cfm (the airflow of a typical bath exhaust fan), you'd have to spend $3,600. My advice: buy a Panasonic. We are very happy to have this forum discussing these products. To hopefully help clarify some items, I offer a few brief comments. Longevity: Pro Clima has time tested the tapes out beyond 60 years. Lunos/no freezing: With the ceramic core placed/pushed toward the outside grille any issues of moisture freezing is avoided. No freezing. Compact P, Magic Box: It can't be emphasized enough - that these units are for Passive House level performance homes of modest size. Given that, we'd like to note that the basic unit can also provide space cooling too. Like Albert out west, we at 475 enjoy working closely with the building community, and are excited to offer new options for improving building performance. You're only supposed to peel away a small portion just to get the tape started, line it up, and then peel the back away as your are running the tape down the seam. dedicate the tape to the seam in small increments. You should have no problem with the tape sticking to itself. Thank you each for addressing the issue of tape longevity. I appreciate the conciseness and clarity! And I'm assuming no one has an example of tape failure -- either due to product or poor installation. Impressive stuff. Personally I don't mind paying more when value has been added. If the tape has a split backing, it can be folded in half lengthwise over the finish side. Once the tape is folded, the backing can be easily peeled back from the centre seam. I find it easier to only peel back one half of the backing at a time, applying the tape in short sections as you go. Once the first half of the tape is adhered, peel back the other half of the backing and proceed as before. Do you know if this unit has been tested for freeze-up? If so under what conditions? I wonder if at very low outdoor temperatures, whether the ceramic core could be cooled enough during the supply cycle that interior humidity would freeze against it when the fan switches to the exhaust cycle. Also, does the e2 have a "big brother"? I used the Intello membrane and the Pro Clima tapes all the time before I moved across the pond to Canada in 2007. I found them to be excellent products, and the split tapes were particularly good to seal the Intello to the window and door frames. Speaking in general terms of tape as an air sealing method and not being brand specific... The only issues that we've had, and that I've heard of for good quality tape in general, is on American OSB. We supplied a project in Minnesota that was sided with the rough side of OSB and there were real issues on getting it to stay stuck. The rough side of US OSB is really fibrous. It's like trying to stick tape to sawdust. Sure it will stick, but it won't stay on the pile. "The tape now sticks so tight that about five minutes after installation, it’s literally unremovable." High quality tape is great for air sealing. Much better than foam or caulking because it will handle building movements. Lunos has definitely tested the units in freezing conditions - and the unit remains in balance. (They also have hundreds, if not thousands of these units already installed across northern Germany, as we understand it, without incidence of such problems.) I will try to get some technical reports about this in the coming days and repost - with a fuller explanation. 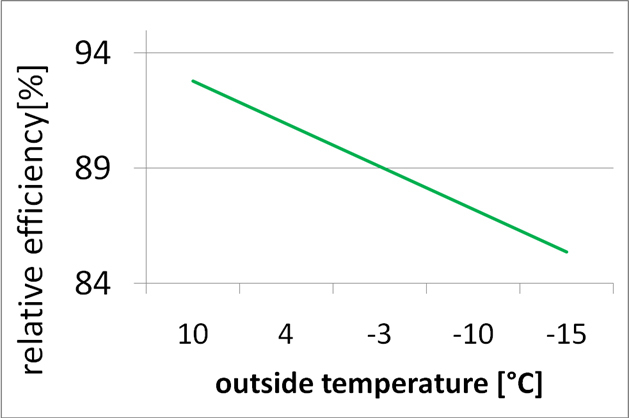 But in the meantime attached here is a diagram of the e2's efficiency curve showing that even at -15 C or 5 F exterior temp, the unit is maintaining an 85% heat recovery efficiency - so the system is robust. I'll follow-up. You wrote, "Don't try to peel the backing paper away from you. Instead, hold the tape in your hand with the finished side to you and the backing paper away from you. On really good tapes like Pro Clima there is A LOT of adhesive. Enough so that if you run your thumb over the top of the tape (perpendicular to it) you'll catch some stray adhesive and it will peel the tape back following your motion away from the backing paper." OK, Albert. I may have fat fingers, dulled by years of job-site abuse, including hitting my digits with a framing hammer and cold-weather injuries, and several visits to the ER for stitches on my fingers. Nevertheless I still have all ten fingers and I can tie my shoes. I've got a length of Pro Clima Tescon No. 1 tape in my hand. The backing paper isn't split, unfortunately, so there is no easy way to get it started. Your trick doesn't work for me. The paper backing doesn't separate. Your trick doesn't work for my girlfriend Karyn either. I wish it did. Rubbing the tape back and forth in hopes of making a wrinkle at the end doesn't work either. So I'm back to the method of trying to get the corner started. It doesn't want to start. Try using a utility knife to start the corner. Of all of the suggested methods (so far), your suggestion works best. That's how I do it too - it's been many years since my fingernails extended past my fingers. Clipping a little of the corner off can help too. The Lunos seems like a great idea. Is there any filtration? I start backed materials accidentally easily when I rip at a piece instead of cutting. By ripping usually one layer ends up a different length exposing the other layer which makes grabbing both possible to start the separation. Martin: Your fat fingers got nothing to do with it! You know I just can't leave well enough alone. So here is THE INSTRUCTIONAL VIDEO on how to get your tape started. In all seriousness a fairly important thing if you standing on top of a ladder. On a good day, I can do it entirely with one hand. I'd rather not be messing around with a blade. Btw... In all fairness, this thread started with 475 and Pro Clima. I just grabbed my sample of Pro Clima Uni Tape and was able to do it the same way and with one hand. It took a couple of try's because i'm not used to handling Uni Tape yet, but that's just a short learning curve. Thanks to the Instructions for Fat-Fingered Carpenters. It still didn't work for me until I took the tape indoors to the kitchen, put it on a wooden cutting board, and cut the edge off clean and square with a new utility knife blade. Then it worked. I'm skeptical as to whether the method will work with job-site cuts outdoors with dull blades or snips. Possibly it will, if I practice. But there is an alternative theory from AJ Builder -- that rough cuts make for an easier peel than careful clean cuts. I'm headed back to the lab to gather more data. Since the trick is to catch some "stray adhesive" rather than a layer of tape, AJ's "Accidental Theory" is right one the mark. The worse the cut, the better the more exposed adhesive. For the video, I used the Siga dispenser. It makes a not so clean cut since it has a serrated blade. Once you get "nimble" it's pretty easy. For the Pro Clima Uni Tape, I had no problem with a clean cut by a reasonably new blade. It only works because the "good tapes" are pretty flexible and have such a thick adhesive layer, that adhesive is literally a layer as thick as the tape backing paper and will just get stuck on your thumb. If you pull back and curl it right, the tape will just follow you. Good luck in the lab! When I was talking to Ken Levenson about the Lunos fan, I had the same idea you did. But Ken said that the developers of the fan did not include that feature. The fan apparently does not monitor outdoor temperature or vary its cycle time. Yes, Martin relates this correctly. I will add that we discussed this specifically as well with Lunos and their reasoning is that the balance of simplicity, cost and effectiveness are best served without the added controls. At 85% efficiency at 5 degrees F exterior temperature and only getting more efficient at warmer temperatures - there is not a compelling reason to complicate it further. It should be noted that a great deal of sophistication is embedded in the fan technology - not only reversible and extremely quiet - the fan automatically adjusts to pressure variations to maintain even cfm. cut 90% of the way across tape with a knife then hand tear the last bit. will leave a nice little handle of exposed adhesive to easily peel with. I installed a dozen rolls of exterior SIGA tape this fall, mostly from the top of a ladder balanced precariously over an excavated foundation, and found that sticking the tape to your hand is the best way to get it off of the backing. If you're wielding a knife, try to bevel the cuts in towards the backing. As Albert noted, there's a *lot* of adhesive, and a beveled cut will reveal enough of it to get a hold of your thumb. Note that these tapes have an adhesive that sticks better to human skin than anything else (go figure), so be prepared to have to disentangle yourself at times. - There is more than one way to "peel" them. I am in a "test" phase for the Lunos E2 and have been very pleased so far. I have done some temperature monitoring to see what the incoming air temps are on the supply side and have been very pleased. I tested it with an outgoing air temp of 64, an outdoor temp of 20f and at the end of the 70 second cycle (when the temp would be the lowest) the incoming air temp was 54. This may seem low, but it was only for a very short period of time. I will also note that my prototype installation only took me an hour. There is a transformer and switch that are installed in one location and low voltage wiring from there to each of the fans. The fans are extremely quiet when they are moving air, however there is a slight sound when they change directions. I have monitored the potential for frost on the exterior side and have not seen any evidence yet. The lowest temperature we have experienced so far this fall is 10 f. My opinion is that this product is a very promising option for the future of heat recovery ventilation. The simplicity of the system is a major plus for our customers and for homeowners in the future. I love the tape peeling discussions. If people are really concerned about having to peel off the backer paper, Pro Clima has a Rapid Cell with has no backer paper. We are using different tapes from both Small Plant Workshop and 475 for different purposes. Will upload some pictures later. Both companies have excellent products and run by even more awesome people. The brochure states that there is a "G3" or "pollen filter" located at the inside opening, with only an insect screen at the outside opening. Do you see a possibility of dust, pollen or other airborn materials clogging up the ceramic core over time? Is it easy to access and remove for cleaning if needed? The foam washable filter is pretty skimpy and yes there is the possibility that the ceramic core could clog up over time, however my judgement is that it is unlikely to clog because the airflow direction is reversing every 70 seconds from pulling in to pushing out. In the event that is does clog up, the whole fan assembly and core can be slid out of the sleeve pretty easily and could be cleaned. 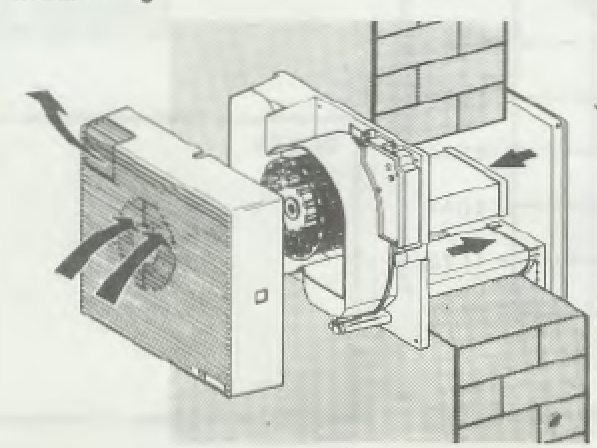 I just got an e-mail from Robert Bean, reminding me that through-the-wall ventilation fans with heat recovery are not new. Bean included a copy of an old brochure for the Fan-X-Changer HRV. The Fan-X-Changer was based on Germany patents. It was distributed in North America in the 1980s by P.M. Wright Ltd. of Montreal, Quebec. Bean wrote, "It hit the North American shores back in the early 80’s. It was part of a product line patented by Kirchmeier of Germany. Likely the 1978 patent filing puts it as one of the earliest residential/retail HRV/ERV to be marketed in North America. 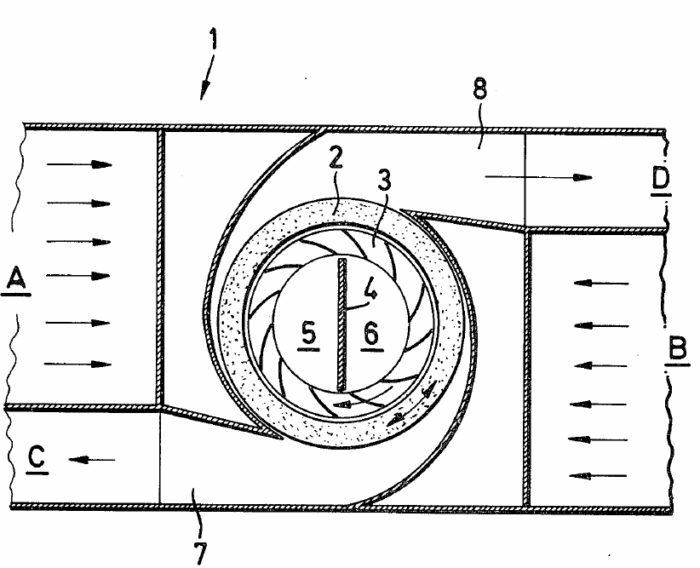 The product line wasn’t perfect since the foam heat exchanger had less than ideal cross contamination - but from a freeze up perspective was great since it never went into defrost…picture a frosted rotating donut … The fan was the best thing - it was made by Kanaflakt which back then were bulletproof." Unlike the Lunos fan, the Fan-X-Changer was not reversible; rather, it behaved like a Panasonic Whisper Comfort ERV. 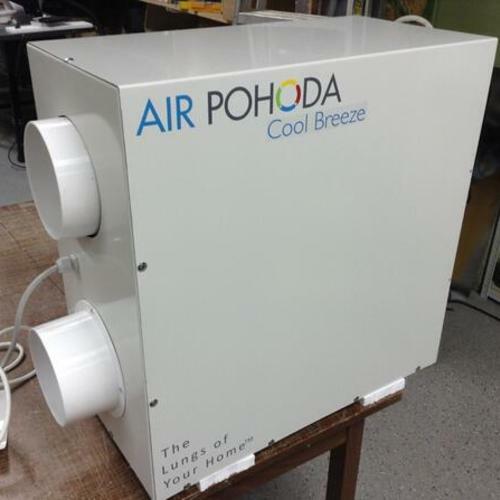 In other words, it delivered fresh air and exhausted stale air at the same location, using a single unit. Below are two illustrations. The top illustration is from the Fan-X-Changer brochure; the bottom illustration is from the Johannes Kirchmeier's patent application. Thanks, Robert, for your reminder about the history of HRV technology. It's another reminder that many of the energy-efficiency measures that experts are trying to get implemented today were first deployed in the 1980s. Ken- Are the Nilan Compact P units UL listed now? I so want a magic box! unless the piece of ceramic inside the lunos is ultra expensive, it seems an inexpensive hack of a panasonic fan would provide similar results for 1/4 the price. If the only "problem" with Lunos type HRV is the price, then the solution could be simple. Search the net for "ceramic heat recovery". They are used for the same reason in industry (in much higher temperatures). They are very cheap. I think any skilled builder can integrate a "smart fan", some of this ceramics and very simple controls to achieve the Lunos levels of ventilation and heat recovery. Worst case scenario is to use non-reversible fan pairs. Only one of them are exhausting; the other is off. After tens of seconds they switch. I think that optimizing this device presents an engineering challenge. To work well, the ceramic core must be properly sized -- not too big and not too small. The airflow rate of the fan must be optimized. The controls must include an interlock system so that when one fan is energized, the other fan in the pair is reversed. The prototype would have to be tested to be sure it didn't ice up in cold weather conditions. All of those factors require a lot of tinkering. Perfecting the device would require building and testing at least 6 or 8 prototypes -- and testing the prototypes would require a fairly sophisticated lab. If you think that you can meet the challenge of building your own Lunos-like ventilation system, that's great. Once the system is installed and perfected, let us know. We'd be happy to publish a blog about how you managed the feat. I did not think to an "almost identical" Lunos HRV. I was rather thinking to a built in solution. The heat recovery ceramics could be integrated in the walls or placed in the attic. There should be no problem if the ceramic is too big. This could lead to a slower rate of switching between the pair ventilators. The ventilators could be an already proof product (e.g. like Panasonic). May be is hard to achieve Lunos recovery performance without a lot of lab testing, as you say, but it will be closer to Lunos than to only exhaust ventilator. Another advantage of this solution could be the summer cooling. In the summer nights when the outside temperature is lower than inside temperature this system could work without reversing the ventilators. The Lunos unit raises a lot of questions. If using paired units has an efficiency of over 85%, would using one lunos unit (or similar) give you 42.5% heat recovery? If so and the units were cheap there would seem to be no reason to ever use a single fan to ventilate a small house without heat recovery. If you had one unit then when it was in blow mode, some of the air would go out through materials (e.g. 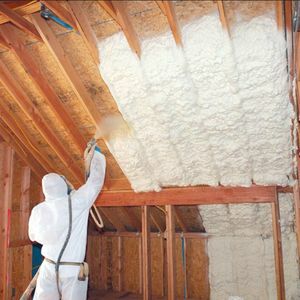 non-airtight insulation). Would you recover some heat from them when it went into extract mode? I'm sure you would to some extent, but would it be a useful amount? Why use ceramics? They are used in industry for high temperatures, but for building heat recovery the temperatures are low. The cfm is lower than for a similar sized extractor fan. Is the flow rate limited by the capacity of the heat exchanger to absorb and give out heat, or is it limited by of the obstruction of the air flow it causes? What is the point heat loss coefficient (chi-value in W/K) through the hole/tube in the wall? I live in northern Canada and currently working for a builder trying out the Lunos. Apparently there has been success with them further north from me, I'm about as far north as Fairbanks. I'll keep you posted on its performance. I am currently working on my own house as well and looking forward to the results. Martin, you mentioned a Panasonic for bathroom ventilation, which unit were you referring to? Panasonic makes several models of bathroom exhaust fans. Some include lights or other features, and some are simpler, but they are all sturdy, quiet, efficient fans. Here is a link to the web page that describes the different models: Panasonic ventilation fans.